For the past 6 years I’ve been part of a rather unique organization in Ushahidi, where we decided early on that how we’d run the organization was that we would trust each other and expect that everyone would act like responsible adults. It’s worked brilliantly, even as we’ve grown and spun up new enterprises and organizations such as iHub and BRCK. Mr. Munger, 90, was ruminating on the state of corporate governance, offering a counternarrative to the distrustful culture of most businesses: Instead of filling your ranks with lawyers and compliance people, he argued, hire people that you actually trust and let them do their job. It’s well worth a read, and I didn’t expect to find parity in leadership philosophy between us and a 300,000-person family of organizations. David, Juliana and I particularly don’t like to micromanage. We’ll work with you to define the goal, but if you expect someone to tell you how to get there, you won’t fit. We don’t check up on you all the time, you tell us when there’s a snag. You need to work autonomously. We’ll help, and are always there for a conversation, but your job is to get from point A to point B.
It’s always better to find people who are smart and get things done, who can work autonomously and tend to not put themselves first. Big egos don’t go well with this kind of team, so we look for humility when interviewing. I remember making a mistake back in 2009, hiring someone off of reputation and resume, without really digging into their portfolio or doing multiple interviews. Ever since then I’ve refused to look at CVs or resumes and each new person goes through about 4-5 other people on the team before we make the final decision. Those other people on the team catch things I wouldn’t, some about skill, but most about ethos and personality. If an emergency happens where you are, can you make a decision and run with it, without having to ask permission? You should be able to. This is especially important in an organization with a globally distributed team that deals with crisis and disaster. We decided that everyone should be able to make critical decisions about deployments of the software, partnerships and strategic steps on their own. Just fill everyone else in on it as it comes up and if adjustments need to be made, then we do it together. To make this work, we had to ensure that everyone on the team, from junior engineers to new QA staff actually understood the foundational elements of the organization. Not just what we built, but why we built it, how it all started and where we were going in the future. While there’s no “intro to X” classes, we do throw you in the deep end early on. It started with our first hire, Henry Addo from Ghana, who found himself speaking in the French Senate in Paris in his first month on the job. That made us realize that public speaking forces you to learn a lot more about the organization that you’re in, quickly. Our goal is that a camera and mic can be put in front of any team member and they can answer any question on the organization. The way they answer it might be different than me due to speaking styles, but because they understand the ethos of the organizations, it is still correct. We don’t do per diems. You’re traveling for the organization, spend what you need on food, lodging and transport. Be responsible about it, since this is money needed for the organization to grow. If you’re in NYC, we know things are more expensive, if you’re in Omaha we know they’re not. The “Agency Effect” (or Principal Agent Problem) comes into play here as the incentives are wrong between a team member and the organization if they get an allowance for travel. I suppose what I’m saying is that if you truly trust people to act like the adults they are and to do the right thing, they generally do. All the corporate oversight you can apply won’t stop an Enron from happening, so something else has to work. It has to be something that’s real though, people can sniff out very quickly if it’s a manufactured, or fake, trust. This means as much of the onus lies on the leaders to “let go” as it does for the team members to shoulder and own the expectations that come with their role. We all need to stand under our own bridges more often, and I’m going to figure out how to make that happen in my organizations. 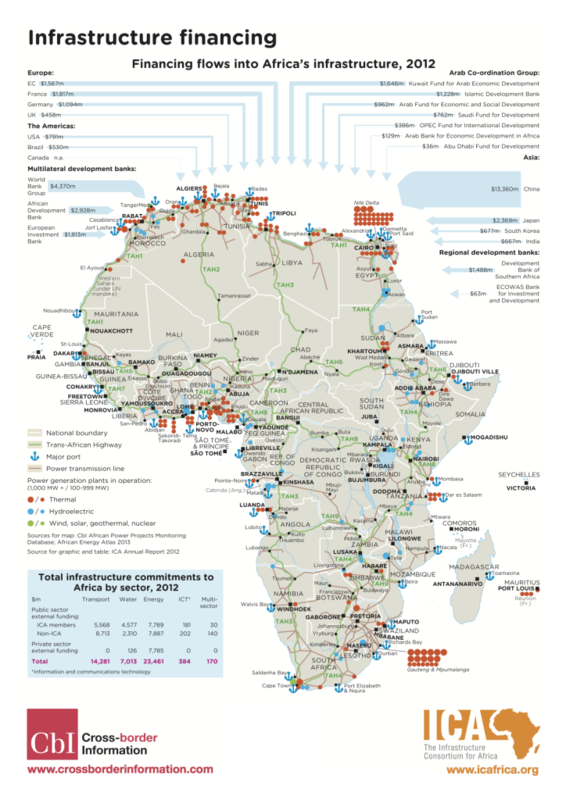 The good folks over at Africa Assets have teamed up with Cross Border Information to release these two maps. 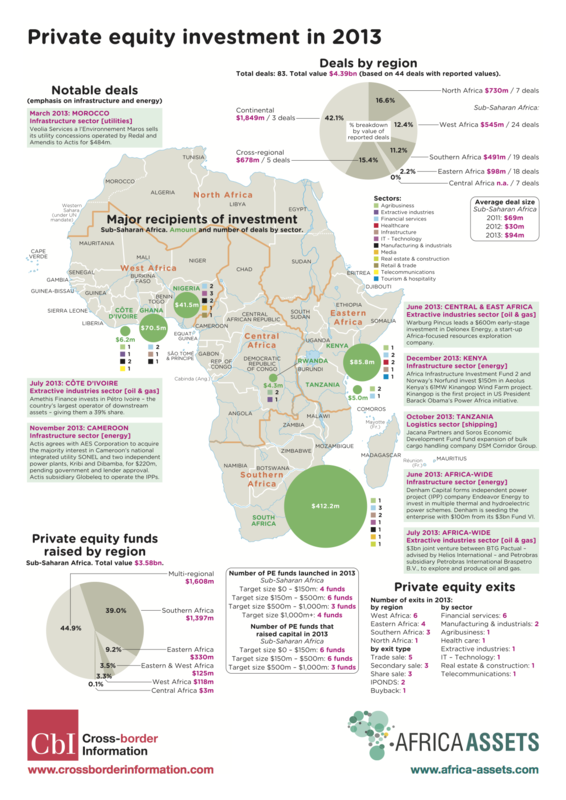 The first on private equity investment in Africa in 2013 and the second on infrastructure investment in the same year. There was a total of 83 PE deals. 44 were reported totaling $4.3 billion. If you add up all of what Europe, the US and all the multilaterals together put into Africa, the total is $15,368,000,000 ($15.4b USD). China alone put in $13,360,000,000 ($13.4b USD). Is it any wonder that the African leaders of today look east to China more than the west to the US and EU? There’s quite a good read up on the Tech Coctail site titled, “What (US) VC’s Are Missing in a Rising World of Smartphones“. It’s a little about smartphones, though the underlying discussion points are really about how blind the investors in the West are to the Middle East, Africa, and Asia due to their preconditioning on Silicon Valley being the only place that big tech things happen. Meanwhile, massive deals are ongoing in the Middle East and Asia that are under the radar. But Western VC’s are slow, and US VCs in particular are slow to catch on to this trend. In part, this is because US investors are accustomed to seeing the best US deals, and they are used to dealing with our ecosystem, our rule of law, the network effect of talent that is Silicon Valley, and other places here that are attracting dollars accordingly. After spending 3 months raising investment for the BRCK company in the US, EU and Africa I can confirm that there is a great deal of investor unease in putting money into something in Africa from the US. Silicon Valley types tend to pay lip service to this idea, but don’t actually invest their money that easily. I just wrote a post on the BRCK blog about what Juliana brought up at TED last year about “unequal distribution”, this time shown on a world map of the internet of things. This idea of unequal distribution of information and how it played into the industrial revolution, the scientific revolution and now the digital revolution that we’re sitting in today. Unequal distribution is not static, it’s a constant dynamic where no one region of the world will lead indefinitely. ITU stats already point out that 65% of the people who get onto the internet today come from emerging markets. 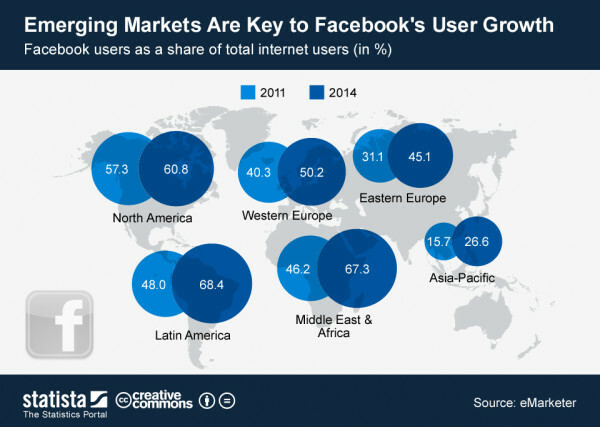 Meanwhile, only 24% of the people in emerging markets are online. That means that whether the West realizes it or not, the internet focus has already shifted, the ripples of this are only now being felt. If you think that Google’s, Yahoo’s, Cisco’s, Intel’s (and many other’s) partnership in the Alliance for Affordable Internet and Facebook’s Internet.org strategies around global internet connectivity are just CSR activities, then you’re sorely mistaken. These companies (literally) see the numbers and the know that they need to stake a claim in the regions where the future of the internet already are. This is from an article about David Friedberg, who just sold The Climate Corporation (aka Weatherbill) for $1 Billion. We’ve been talking (and talking, and talking) about a rapid prototyping space here in Nairobi for ages. Without the resources to do it, the community got things started on their own with the iHub Robotics Group, who does all kinds of cool meetings; from training newbies like me and my daughters on Arduino and Raspberry Pi, to events where they showcase locally made solar tracking systems and help to run kids hacker camps. This week we’re announcing Gearbox – our makerspace in Nairobi. A makerspace (or hackerspace) is where a community of people who like to make physical products, who enjoy tinkering, and who design everything from electronics gadgets to plastic toys meet and work. To us, it’s a place where the worlds of high-tech software geeks meet jua kali artisans. This is why our space covers to flavors; what we call “Gearbox: Light” (electronics and plastics) and “Gearbox: Heavy” (wood and metal). Keep in mind, this isn’t a manufacturing facility for many items, instead it’s a place where you rapidly prototype out your idea to see if it will work – once you figure it out, then you have to find another facility for real production. This is a place that is very community oriented, where there are advanced users and experienced fabricators around who are part of the community as well. It’s not enough just to be a member, but you also must give back by helping the newbies and running a few trainings to get people up to speed on the equipment. This is where we have heavy duty equipment, the metal working and wood working equipment and tools that allow you to build and prototype large things. 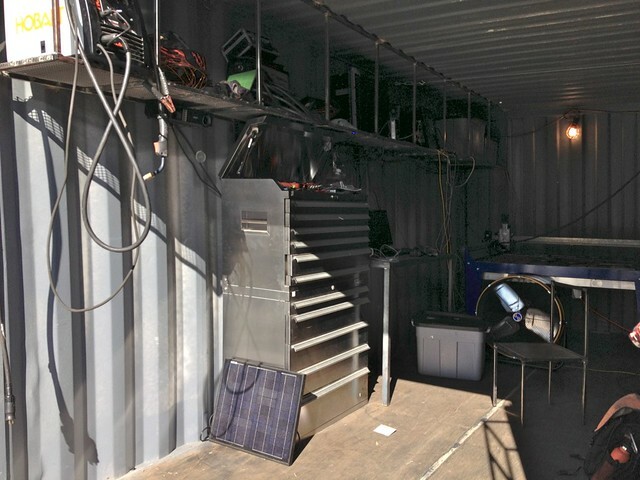 Our friends at Re:Char built a “shop in a box” – basically a container with a bunch of amazing equipment. They’ve donated that to the iHub, and we’re finding a home for it now, so that everyone in our community can start building big things. When we were building out the BRCK, we found that we needed a polished space where we had access to some of the tools and equipment needed for higher-level electronics, while at the same time a place where we could mill out, or 3d print, early versions of the case. We soon found out that there were others creating robots, drones, TV devices and point of sale systems that also needed a place to do rapid testing of their ideas, but who didn’t have the tools themselves. Our plan is to have this part of the electronics and plastics part of Gearbox on the 2nd floor of the iHub building. Where you’ll be able to come in and use a 3D printer, laser cutter, smaller CNC machines and soldering equipment. Again, the idea that there are experts around who you can talk to about the right materials, or a more efficient process for building your gadget, is here. 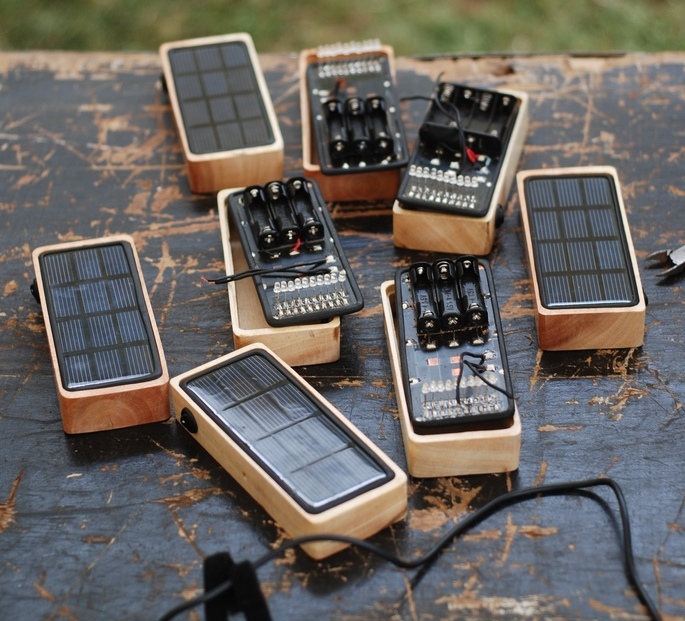 Makers – you want to build something, here’s your chance. Jump on the website and register for a membership, come in and build stuff. 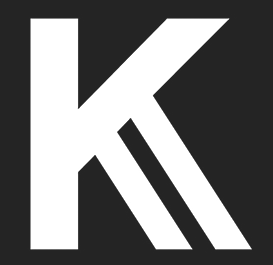 Experts – if you’re beyond novice, have built products, please get in touch. We need you to help train and build up the next generation of makers. Interns – a number of you have already been in touch, but we’re looking for 2-4 paid interns who will help manage the space and build the community. It costs some money to get started with Gearbox, and a lot of groups are stepping up to help, and we could use some more. The partners for Gearbox are Sanergy, Ushahidi, BRCK, Knowable and Mobius Motors, and we’re looking for more. Academic partners are MIT thus far, and we’d like to get a few more signed up here too. If your company needs access to this kind of equipment from time-to-time, get in touch. Right now we could use about $50,000 for some equipment purchases, as it’s expensive to buy and ship some items to Kenya. If you can help on that, please get in touch. Membership: There will be monthly membership fees, the rates are still being determined, but it will be affordable. Gearshop: There will be a store, where you can buy the small components and resources you need, as well as a place where we sell on consignment, things made by the community. Partners: Corporate partners who want to be a part of this community can do take part showcasing their products and doing events. I’ve said for a long time that I think we in Africa have an advantage in making things. It’s a culture that’s never been lost, and we’re used to improvising, adapting and overcoming challenges that come our way. This is our first foray into that meeting of the worlds between high-tech and low-tech making, and I’ve not been this excited about something for a long time. The Savannah Fund has been in operation about 8 months now, and has done 5 investments. One at $200k+, one at $75k and three at the accelerator level of $25k each. We’re accepting applications through the end of this week, and we’re looking for 5 quality startups to begin the accelerator program in August. Fill out this form to apply. What is the Savannah Accelerator Fund? Last month we put together a short video to better explain the Savannah Fund, and why it’s important for tech entrepreneurs in the region. In short, it’s not just the $25k, which is useful but not the reason why you should be applying, it’s all of the other connections, training and access to people that bring the real value. Here’s Ahonya, one of the Savannah Fund accelerator companies describes how startups can benefit from accelerator programmes. iHub Research continues to put out great research for clients. They also take time to put together the numbers for everyone else as far as what’s going on in our part of Africa. 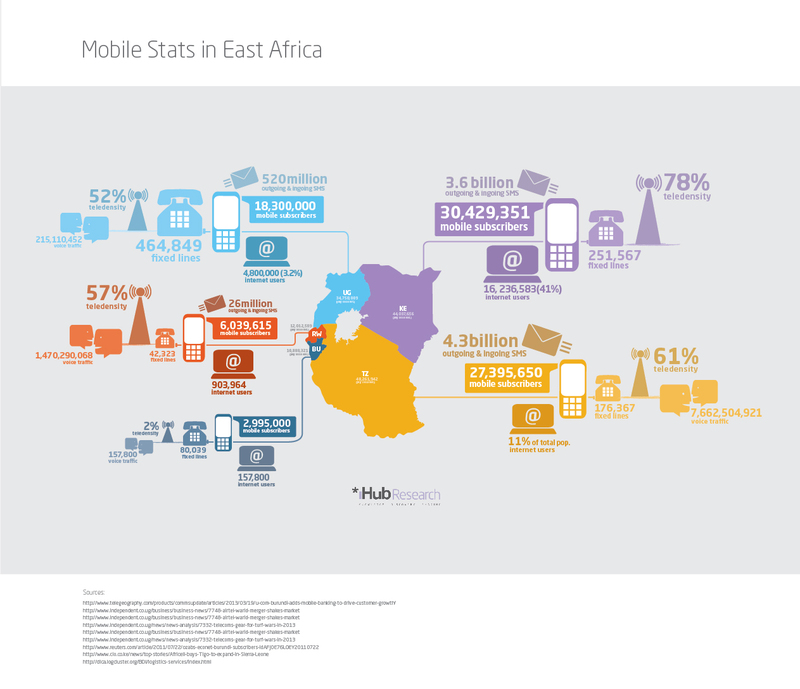 The most recent stats for East Africa’s mobile and internet usage have been put into an new infographic. Here’s the 2011/2012 numbers for all of the countries in East Africa, plus some bonus numbers around mobile money at that time. See the old ones from 2011 in Uganda, Kenya and Tanzania. 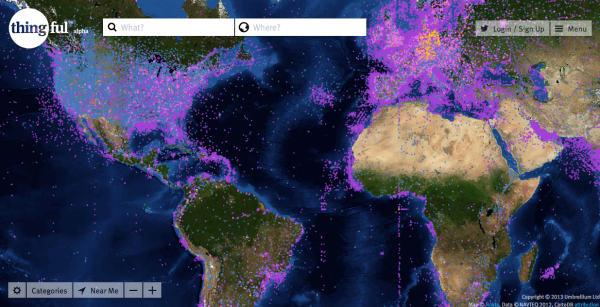 You can also see the some 2012 numbers on the iHub that they put together as well. I make no bones about my admiration for the team at Ark Africa, who I think are possibly the best design house in East Africa. They tend to take on projects of their own, just to think through the problems and come up with something that’s truly useful. Other examples of this are when the building of the new Thika road was going on and there were no signs, they created the signage for it. They’ve also taken the Kenya coat of arms and re-touched them as a screen-friendly version for smaller devices and very small prints. In possibly my favorite Ark project to date, they’ve decided to design a Kenya Shilling symbol. We have this problem where we don’t have a simple symbol (such as $, £, €, ¥, etc) to use, nor do we have a clear way of writing it. We use “Kes” or “Ksh” both interchangeably. This is one idea that I hope gets traction with the right people. The government, if it had thought to do this, would have paid a company a lot of money to get to this same point. I hope they take the gift given to them here. 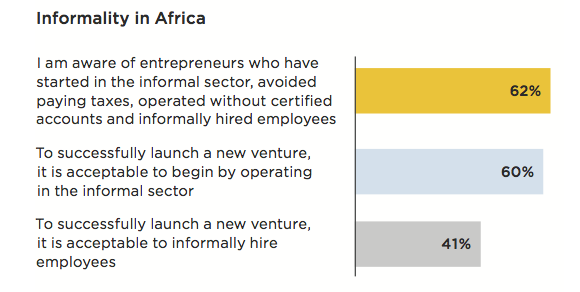 A couple months back Omidyar Network released a report (with an exhaustively long title, like all reports tend to have), “Accelerating Entrepreneurship in Africa: Understanding Africa’s Challenges to Creating Opportunity-driven Entrepreneurship.“. If you’re interested in this space at all, in even a minor way, it’s well worth a read. Get the full 2.5Mb download of the report here: (ON Africa Report). 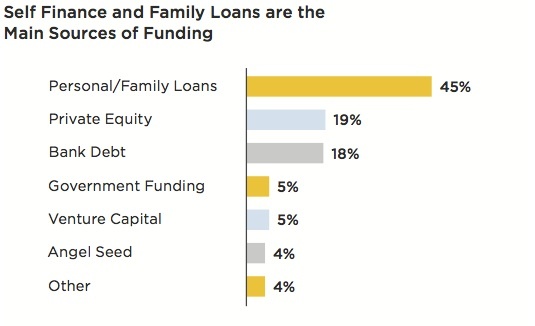 The gaps they see are familiar to many. We all know that part of the problem is the education system isn’t setup for problem solving, it’s about rote learning. Business support: Government programs and incubation. Policy accelerators: Legislation and administrative burdens. Motivations and mindset: Legitimacy, attitudes, and culture. There are a lot of recommendations for each of these four areas that the report covers, enough for anyone running a tech hub, incubator, university and especially the government to think through. Recently I wrote about the making of the BRCK here in Nairobi, and I alluded to some of the issues around doing hardware in Africa. I just had another experience that underscores the difficulties. FedEx called me with the news that a package we were waiting for had arrived. The true value of the components was listed on the package at $230. These were new plastic cases for the BRCK, as well as a couple modem and router components. 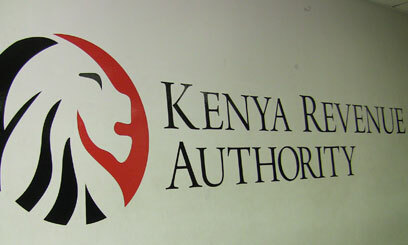 The Kenya Revenue Authority decided that it actually should be valued at $300, and then charged 100% duty. To clear the package, we have to pay $300 (26,000 Ksh). Before I go any further, I’ll state that I think it’s imperative that you build hardware like the BRCK, or Kahenya‘s new Able Wireless device, where it will be used. You need to build it close to the ground, where the working conditions, and the real pain of the problem is part of the product team’s life. For both Kahenya and the BRCK team, that means here in Kenya. It’s hard to get the components that you need. Kahenya and I did backflips trying to getting 5 Raspberry Pi’s and cases ordered and delivered to Kenya. Similarly, we have issues with anything we need for the BRCK. The ripple effects on your business for this delay in time can be a big issue, it carries a lot of friction. If you want an Arduino kit or simpler components that you can’t purchase in Kenya, then your two options are; a) someone is coming from that country and can bring them in for you in their luggage, or b) you’re willing to pay a lot of money for FedEx or DHL to ship it in, then pay even more on duty. 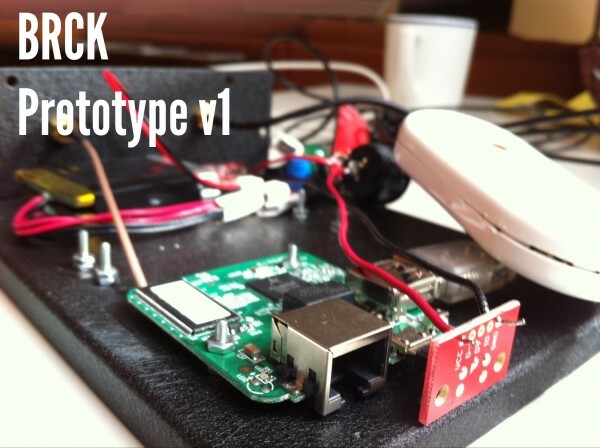 This is the very earliest prototype of the BRCK. It’s made up of components that aren’t all found easily in Kenya. So, not only is it hard to get the parts you need, the government has set up its regulation in a way that discourages local prototyping and even local manufacturing. The revenue authorities would rather make quick money off of a component import than more money later off of a manufacturing industry. I’d rather set up an assembly factory here in Kenya than one in another country, but that isn’t possible if component import isn’t changed. ICT Ministers of Africa should note that in this rapidly changing world of tech, that the regulatory system needs to keep pace. If it doesn’t, it can produce a tech ecosystem that strangles innovation at the expense of short-term tax and duty. If Kenya wants to pretend it can get to Vision 2030 without some changes in regulation for local companies, there will be some surprises coming.